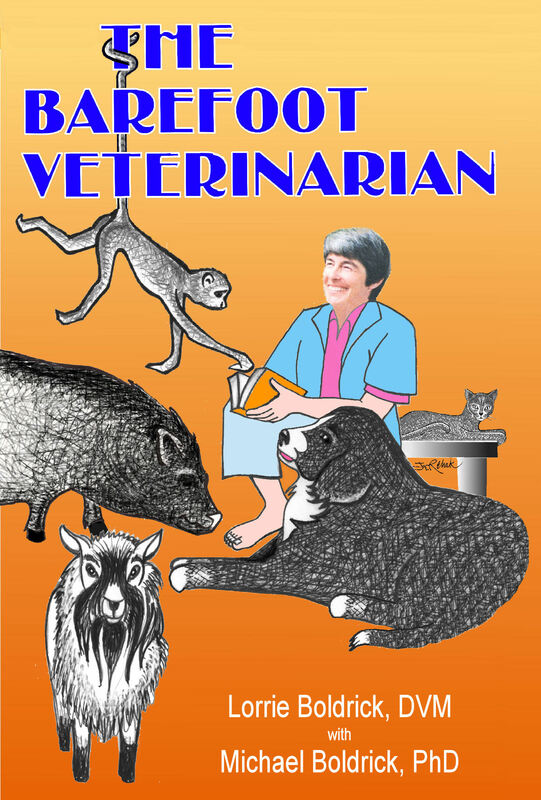 My job with the Department of Animal Resources - the one that required me to get a rabies shot, after which I passed out - was as an animal caretaker. The Department provided housing and care for all the animals that were available for or actively being used in research. "Animal Caretaker" was just a fancy title for "one in charge of feeding and watering animals and mucking their stalls." Many of the research animals housed by the Department of Animal Resources were part of long-term behavioral observations, so we got to know most of them quite well. Among the collection were Fred and Barney, two adult male aoudads that lived in a thirty-foot long by six-foot wide covered pen. I know what you're thinking. "Wow! Amazing! Aoudads! I can't believe Lorrie really got to work with such exotic animals!" Followed by, "Hmmm? What the heck is an aoudad, anyway?" Well, let me tell you a little about them. Auodads come from North Africa and they are quite rare even there. They are tan-colored members of the subfamily Caprinae (goat-antelope). If you saw one, you might mistake it for a bighorn sheep. Perhaps that's why these animals are also known as Barbary sheep. "So, you mean aoudads are just a type of sheep? What a letdown!" While they are indeed sheep-like animals,�aoudads exhibit the agility of a mountain goat and are quite shy. Barney and Fred were no exception, as both were quite timid around people and tried to stay as far away from us as possible when we went in to clean their pen, feed and water them. The gate opened near one end, along the long side of the pen, and when we entered, Barney and Fred�would herd to the opposite end. As we worked toward them, they would pace nervously until they could stand it no longer and then "the boys"�would race by us, often going so far as to bank up off the wall as they rushed past. One day, Bert, a new employee - it's always the new guy or gal, isn't it - was responsible for the aoudads. They dutifully herded to the opposite end as Bert entered. We had warned Bert about how the boys would frantically race past him as he moved toward them and that he should give them as wide a berth as possible. Maybe they were alarmed by the new guy, but Fred and Barney went blasting by Bert before he was even half way down the pen. Bert quickly scaled the pen wall to get out of their way, inadvertently causing the pen door to fly open�(he had failed to latched it properly - a definite no no). Barney skidded out through the opening, quickly followed by the ever-alert Fred. A few of us were nearby, monitoring the new guy, but�no one was�quick enough to capture either of the aoudads. The Animal Resources facility was about a mile from the main U.C. Davis campus but it was on the other side of the highway. We got a demonstration of just how nimble aoudads are when Barney effortlessly bounded over the six-foot chain link fence that surrounded the facility. Fred was not quite so smooth. As he tried to leap over the fence, he somehow got his head caught between the chain link and the top bar. Since we were already giving chase, we quickly released him from his self-induced head-lock. He was uninjured - except maybe his pride at not having made it over the fence - and was quickly escorted back to the facility. Barney, however, proved to be as agile mentally as he was physically; he ran along the train track that led under the highway to campus, thus avoiding any undoubtedly deadly encounters with traffic.�He followed the tracks all the way into the main campus. We were in hot pursuit, although admittedly losing ground, and were just close enough to see him run through an open door into the Home Economics building. We may have been foolish enough to let him escape, but when we finally reached the door we saw him go through, we followed - and slammed the door behind us. He was out of sight, having already moved beyond the main hallway, but when we reached the tee, we saw him. Fortunately, he had turned right rather than left, as the corridor to the left led to glass doors, and there's no telling what might have happened if he had run toward an apparent opening. The four of us formed a wall and gently cornered him, grabbed hold and harnessed him. We led him safely back across campus,�through the tunnel and�into his pen. The aoudads got lots of extra exercise that day � and so did we! We also put a new twist on the phrase "follow like sheep."